Learn the important unwritten rules of surfing: A code of conduct to stay safe and be respectful of other surfers. As a beginner, your first experiences in the water can be quite intimidating. 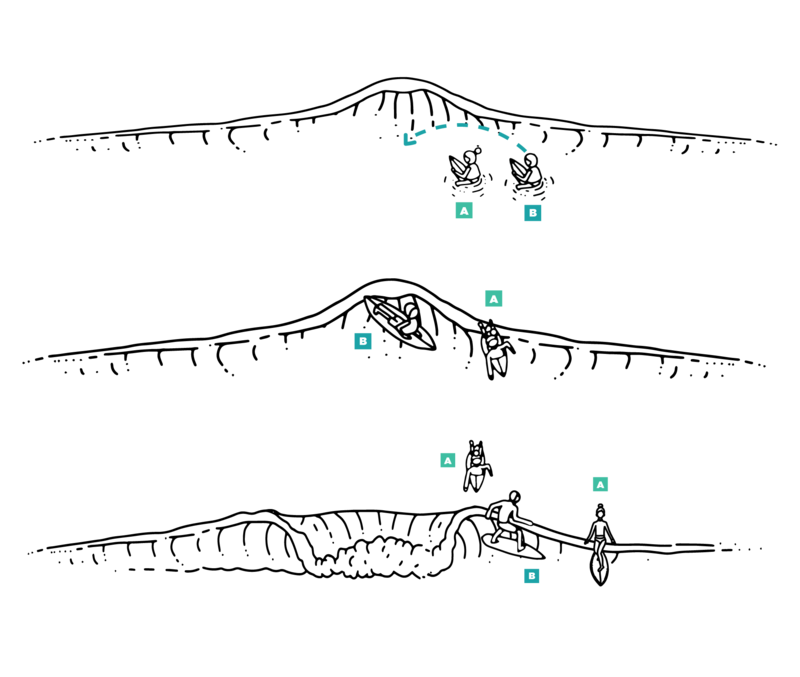 Not only are you in a new environment, there are also other surfers around you on the spot, with different skill levels. We very commonly hear beginners say: “I’m scared I’m going to get in somebody’s way”, “I don’t want to take anyone else’s wave”, “I don’t want to damage other surfers’ equipment”, etc. 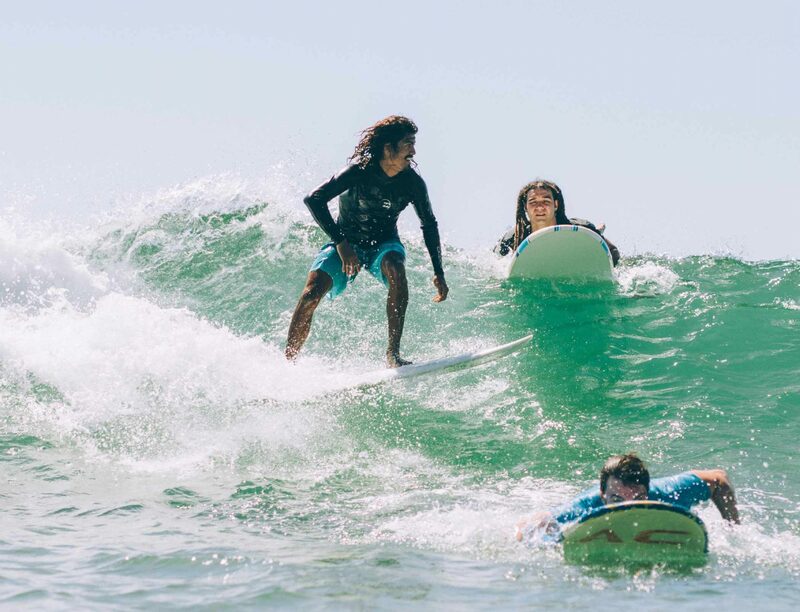 The 10 rules below will clarify what we call a “code of conduct”: A number of unwritten rules made to keep surfers safe, to be respectful of one another and to keep a good vibe in the water. There’s a reason for the saying: “If in doubt, don’t paddle out”. Surfing can quite possibly be one of the most enjoyable experiences of your life, but you need to stay honest with yourself and your ability. Because this sport is practised in the ocean, it can get quite dangerous if you are out in the water in surfing conditions you are very uncomfortable with. This is why you need to choose the proper surfing spots for your level. Some spots have hollow, powerful waves, while other spots offer smaller, softer waves. The type of waves depends on both the surf spot itself, and the specific daily surfing conditions. Choosing a surf spot for beginners and reading surf forecasts can get tricky. Ideally, you should go surfing with an experienced friend or surf coach for your first surf sessions. Hollow, powerful waves for the advances surfers. These waves require experience because they break very quickly and with lots of power. “Wiping-out” on one of these waves without any experience could be quite traumatizing. Soft, small wave for beginners. These waves are way more gentle and break with a lot less power. Falling off such soft waves is usually pretty safe. Once you are done practising your pop ups in the white water, you will start catching unbroken “green waves” further out in the water. There most probably will be other surfers out at your surf spot, wanting to catch the same waves as you. As a beginner, it’s not always easy to identify which waves you are allowed to paddle into, and which waves you are not. The general rule is that the surfer who has the longest potential ride has priority for the wave. 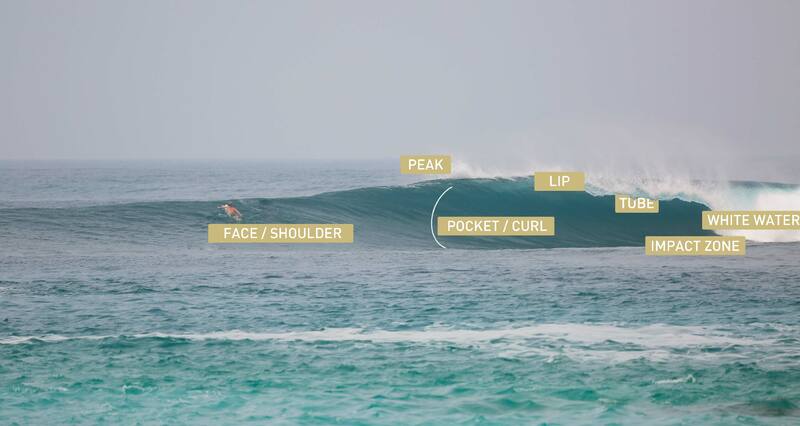 This means the closest surfer to the peak (1st breaking part of a wave) has the right of way, since he is the one who will enjoy surfing the wave’s shoulder for the longest ride. For example, when you are paddling with the intention of going left on a wave, and Surfer A to your right is paddling for the same wave, Surfer A has right of way. You would be allowed to paddle in the wave only if this surfer doesn’t catch the wave or falls off his board. As for the surfers paddling to your left, they should wait and see if you are going for the wave before paddling into it. Drop ins are bad because experienced surfers want to be able to surf specific parts of the wave, to really enjoy themselves. In this situation, Surfer A can’t ride the wave as he wishes, because he may crash into Surfer B. If a surfer is already up on his feet and riding the shoulder, but you are the one closer to the peak, don’t do a late take off between the surfer and the peak. Even though you are deeper and you would have a longer ride, the first surfer on his feet should have priority. If you are 100% certain a surfer will get caught in the white water and won’t make a section. Sometimes, surfers go on a wave but they don’t make it past a section, get caught in the white water and fall off their boards. If you are totally certain that a surfer will never make it past the white water, you can theoretically drop in the wave. Look to the peak. As you paddle for a wave, always take a look at the peak to see if someone else is paddling for your wave and has the right of way. If “looking at the peak” is too complicated to remember, try “looking in the opposite direction you want to go to”. For example, if you want to surf to the left, look right on the wave to make sure no one is deeper than you. Listen to other surfers. You might hear a “watch out”, or someone whistling at you. Keep your head up and take notice of what is going on around you. Get off the wave. Once you actually are on your feet and realize you have dropped on someone, it’s not too late to fix your mistake. You can probably just go over the shoulder and off back the wave, potentially not even disturbing the surfer with priority. Snaking is often perceived as even more offensive than dropping in. For one reason, it is greedy and hypocrite. Plus, it is usually done by competent surfers that know exactly what they are doing. You rarely snake by mistake. If you are a total beginner, this one might not concern you for a little while, but it’s good to know for the future. Snaking goes as follows: Surfer A has waited his turn and begins paddling for an incoming wave. Surfer B (the snake), waits for Surfer A to be focused on paddling for the wave, and then paddles inside, closer to the peak, to claim the wave. As both surfers take off and surf the wave, it appears like Surfer A is the one who “dropped in” Surfer B’s wave, when actually he is the one with the right of way. Note 1: Most surfers in the water know who is the snake and who is not. Note 2: There is nothing wrong with dropping on a snake, but beware that some surfers can have a pretty aggressive attitude. Note 3: At some spots, “local” surfers might consider that they have priority for every single wave. See rule #7: respect the locals, for more details. As you paddle out to go catch some waves, you must do your best to not get in other surfers way as they are riding waves. Don’t paddle right in the impact zone. Don’t paddle where most waves are crashing and where the majority of surfers are riding. Instead, paddle wide through the channel where the waves don’t break. Sometimes it’s hard to do this on beach breaks, as the waves are breaking a bit everywhere, but there are usually areas where fewer surfers are riding. Try not to get in the surfer’s line on the shoulder. As you paddle back, you might find yourself in front of a surfer riding a wave towards you. You must try to avoid getting in his way, by either paddling for the white water, or further out on the shoulder if that is possible. You don’t want to be attempting to make it over the wave, barely making it over the lip, only to ruin the surfer’s enjoyment of the wave. Most experienced surfers will do what they can to avoid you, but you should also do everything possible not to get in their way, for both your safety and everyone’s enjoyment. 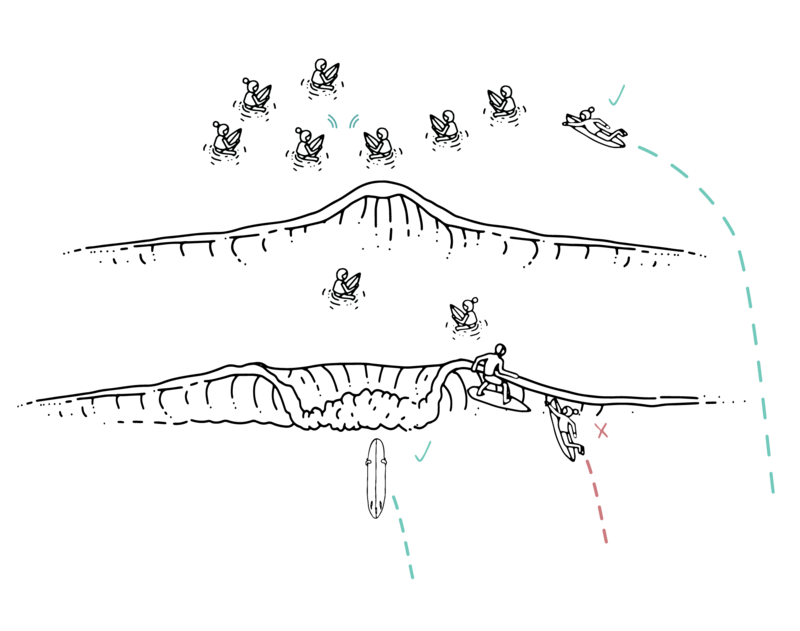 Spots with consistent takeoff zones, such as reefbreaks and pointbreaks, offer the possibility of having every surfer taking turns. 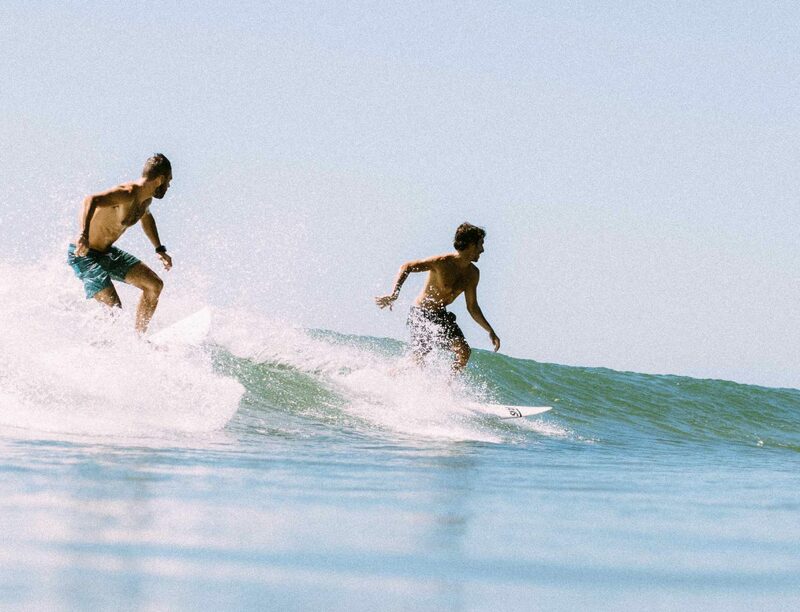 Taking turns means that surfers “wait in line”, and let each other take a wave, one after the other. The one who has been waiting the longest will sit at the end of the line, closer to the peak, and will be the next one to paddle for a wave, without any hassling from other surfers. The surfer paddling back from a wave respectfully sits at the end of the line up and will be the last one of the group to get a wave. Spots like beach breaks have many take off zones. Each zone can have its own individual line-up, so beware if you change spot in the water. When spots are too crowded, which these days happen very often, line-ups can fall apart because there are simply too many people in the water. In this case, the only rule that still stands is the drop-in rule. Don’t be the greedy longboarder. As bigger surfboards paddle much faster, they make it possible to catch waves sooner and further out than other surfers with smaller boards. Just because you can catch waves further and closer to the peak because of your bigger board doesn’t give you the right to catch all the waves. If you don’t take your turn, someone will tell you to! If you paddle for a wave but you don’t catch it, you must go back at the end of the line up. You waited patiently for your turn, the wave comes, you paddle for it, but you miss it. All that waiting for nothing! This unfortunately does not entitle you to the next wave, as you still have “wasted” a wave. Whether you end up surfing it or not is not the other surfer’s problem. You should communicate to other surfers when many of them are paddling for the same wave: “Are you going right or left”?. Let other surfers know your intentions when necessary. Also tell people paddling for waves you are already riding that you are there, to avoid collisions. 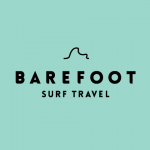 A surfer is usually considered a “local” when he has a long history of surfing a certain spot. Pay attention to how things work in the water when you surf a new spot. While the basic rules in this article are applicable in almost every surfing country, locals can have their own version of surf ethics. 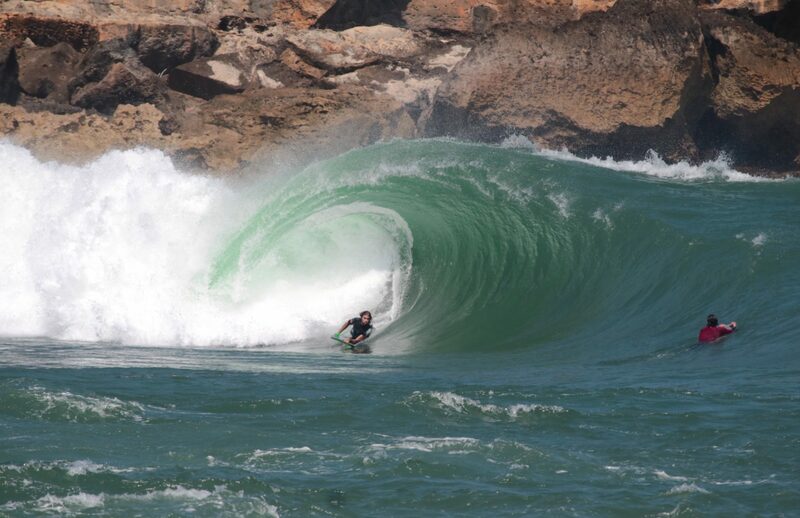 For example, in some rare places, locals believe they have priority on every wave. Take your time, observe the variations and accept the specific rules of the area. If you don’t, you might be in for a bad surprise! Don’t throw your board, it could injure another surfer, especially when the surf spot is very crowded. When a wall of white water comes to you, it can be tempting to throw your board away and dive underneath. Your surfboard could hit someone paddling behind you. If you are a beginner, this is even more important since you are most probably surfing a large, heavy surfboard than can seriously injure another surfer if he gets it on the head. It might not be easy to do, but you must learn to either push through white water, turtle roll, or duck dive if you are on a shortboard. At the end of the day, holding on to your board will only help you pass the break easier and quicker, making you a better surfer. This one is not usually included in surf ethics, but it’s a good one to know. In most cases, experienced surfers are able to tell if you did something wrong on purpose, such as dropping in their wave. If you do end up dropping in on somebody’s wave, simply apologizing makes a big difference and reduces tensions in the water. The majority of surfers will most probably tell you “no worries” (as long as you do your best not to do it again). This being said, some surfers, as in any group of people, are frustrated in life in general and might start swearing at you… Well, sh*#& happens my friend. As anything in life, keeping a positive attitude and enjoying the moment will reward you. Here are a few things you can do to make everybody’s experience even better. Don’t litter, and even pick up after people who did. Be patient and share waves. You’d be surprised how far a “This one’s yours!” can go. It might actually come back to you and get you more waves.